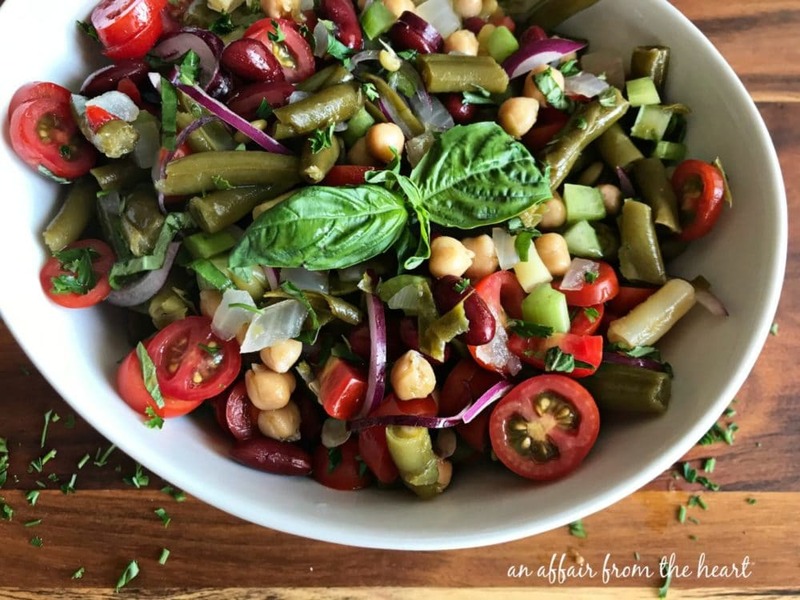 Four bean salad gets an Italian makeover with the simple addition of some fresh herbs, veggies and tomatoes. This is a sponsored conversation written by me on behalf of Paisley Farm, but the opinions are all my own. Thank you for supporting the companies and products that make An Affair from the Heart possible. Isn’t it awesome when you can take something great and make it even better by doctoring it up just a little bit to suit your needs and your taste buds? 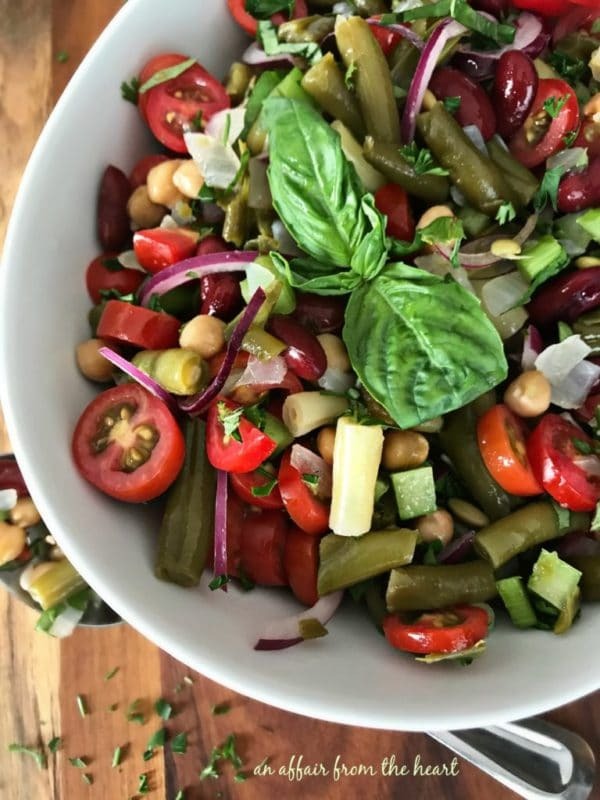 That’s exactly what we did here with Paisley Farm Four Bean Salad. 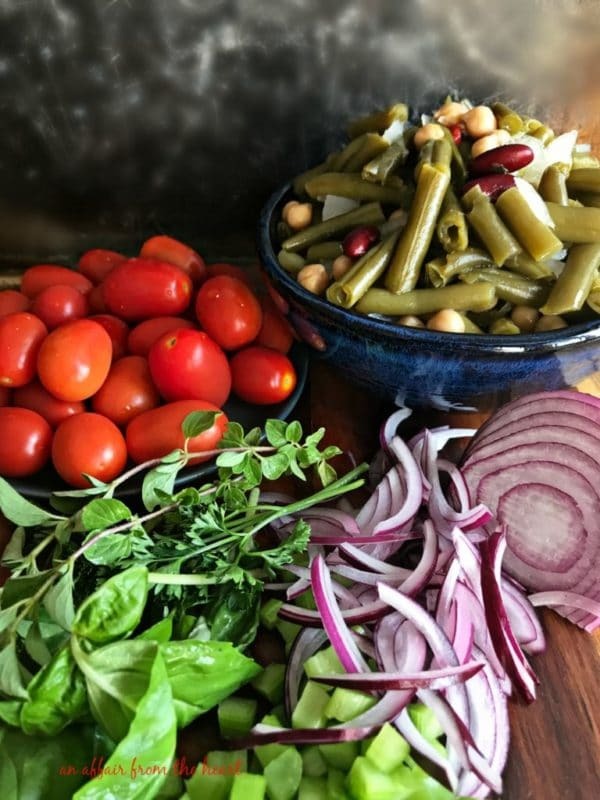 Our friends at Paisley Farm contacted me recently, asking if we could figure out a way to celebrate National Lasagna Day with their Four Bean Salad. I immediately thought, “The perfect accompaniment to any Italian meal, a salad!” But not just ANY salad! 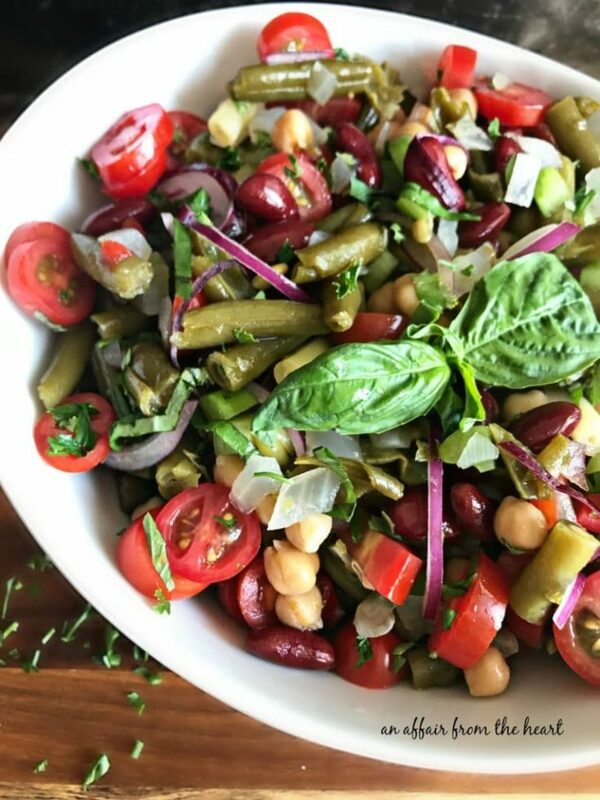 This Italian Bean Salad was going to make any other salad look like “just a salad.” It was going to be colorful, and flavorful, it was going to have the ease of opening a jar of Paisley Farm Four Bean Salad, adding some fresh herbs and veggies, giving it a stir and chilling it while you prepared the rest of your meal. 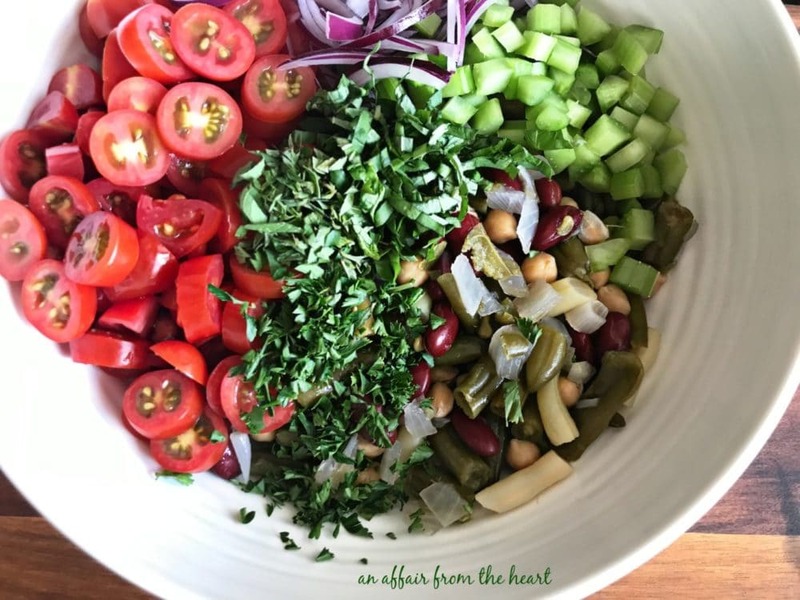 A jar of Paisley Farm Four Bean salad, some cherry tomatoes, a little red onion and celery for crunch, and some fresh Italian herbs are all you need. The prep takes about 5 minutes. Give it all a toss in a bowl, and cover it and chill until ready to serve. 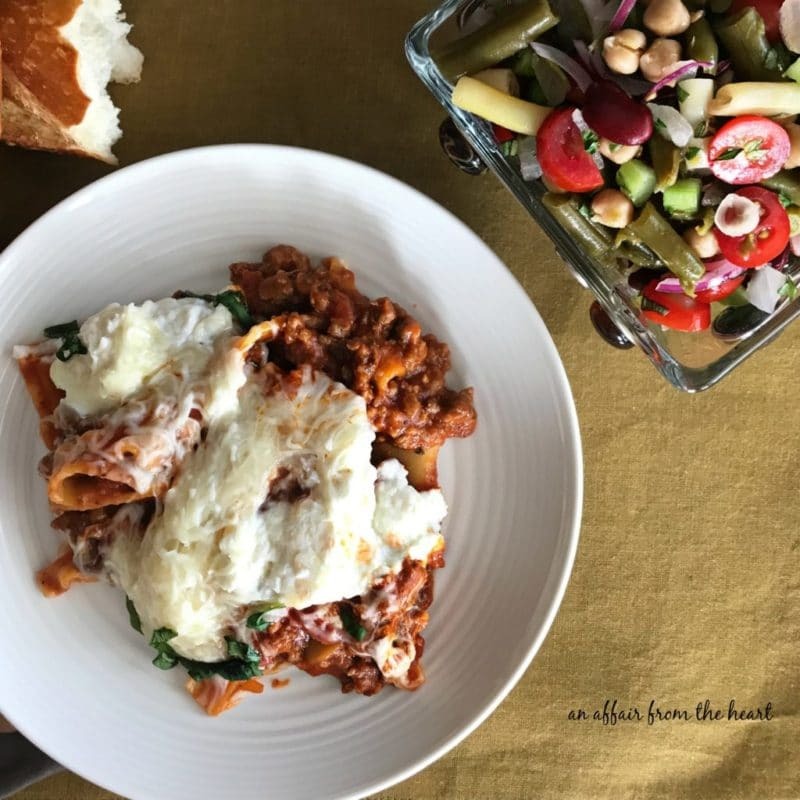 We served ours along side this super easy Skillet Lasagna. The whole meal was done in about 30 minutes. Hungry for more?? 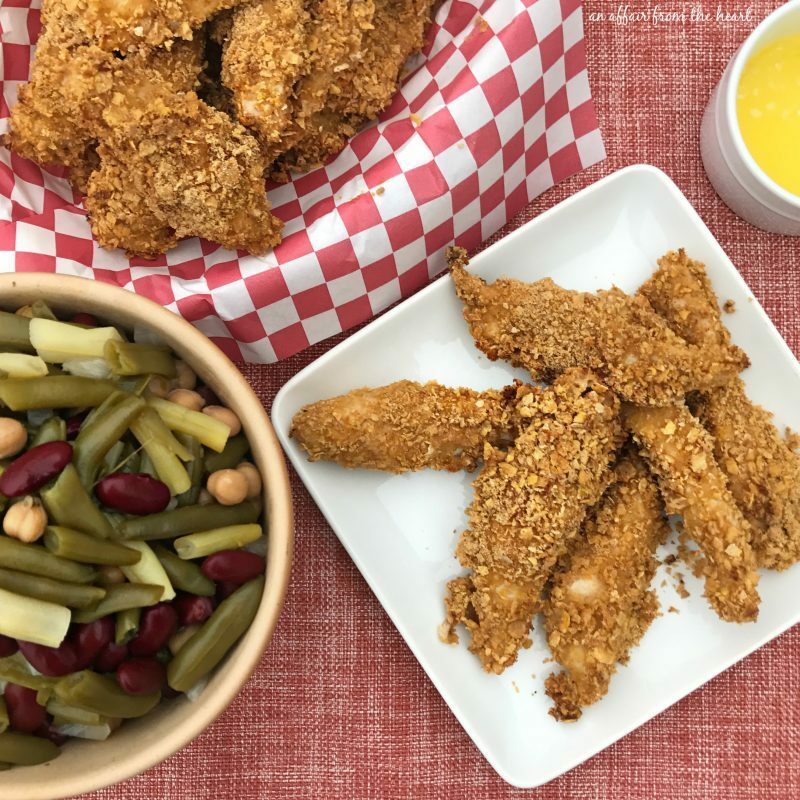 Here are a couple of the other recipes we have collaborated on with Paisley Farm’s Bean Salads! Check out Paisley Farms website for recipes, products and store locations. Combine ingredients in a bowl, cover and chill until ready to serve. I just love bean salads — and it’s nice to be able to dress a good premade one up sometimes instead of starting from scratch, especially for those busy nights! This salad looks so fresh and delicious! 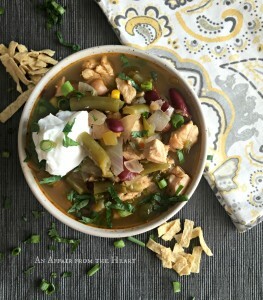 The combination of flavors sound so good and I love how easy it is to put together! 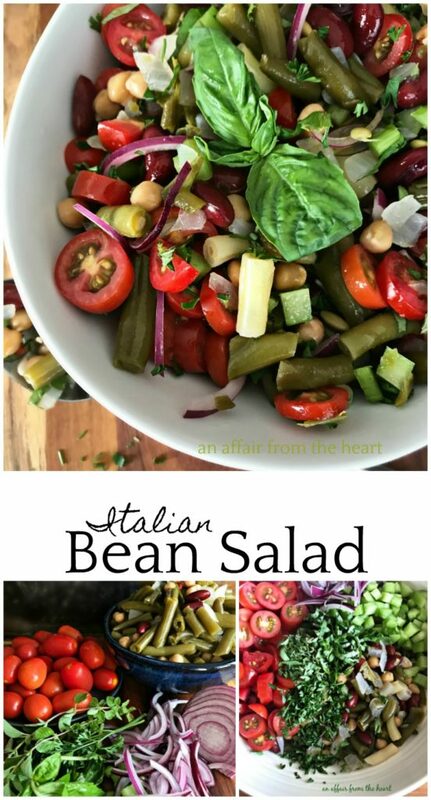 I’ve always loved these bean salads and love the Italian spin you put on it. It would be great for a pot luck dish! I’m not giving up on my summer pot lucks! I love everything about this salad! 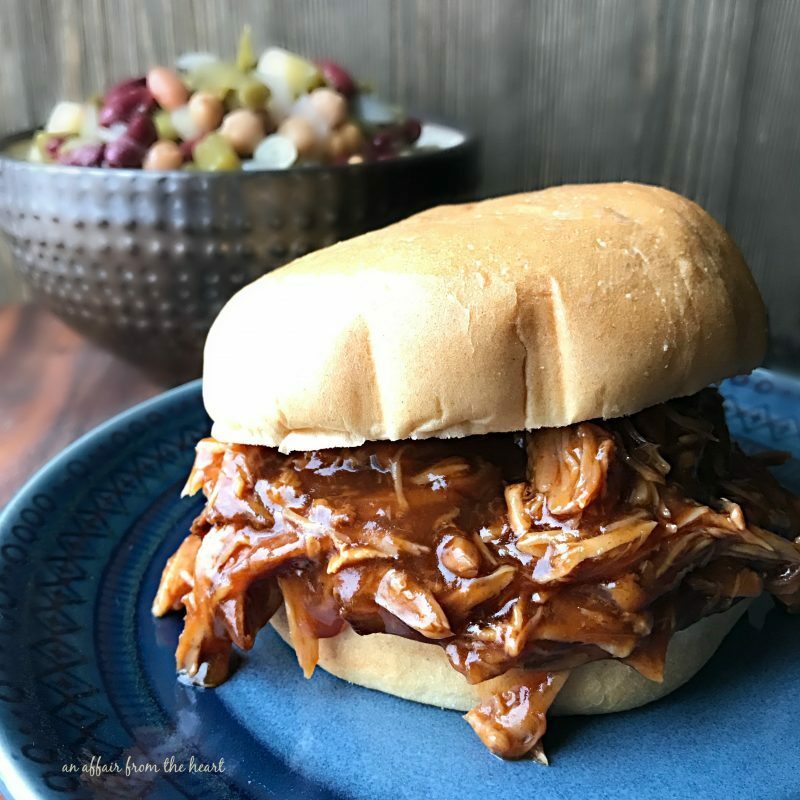 So many great flavors & colors… what a perfect summer bbq side! Ilove how quick and delicious this is! One of my favorite salads and you’ve dolled it up with some fresh yummy crunch! Looks just perfect!!! I am in LOVE with this salad! YUM! I grew up eating pickled beets and three bean salad. Though mine always came from a can/jar and was never as pretty as this one! I love all the fresh herbs added to it and how you added the fresh tomatoes! What a great way to add some umpf to it! fresh and delicious! great shot and video too! For me, this is a meal! Just give me some wonderful crusty artisan bread and butter! So simple and that’s what I love! This is such a fabulous salad, Michaela, and I so enjoyed watching the video too! Such a pretty salad! Delicious too! 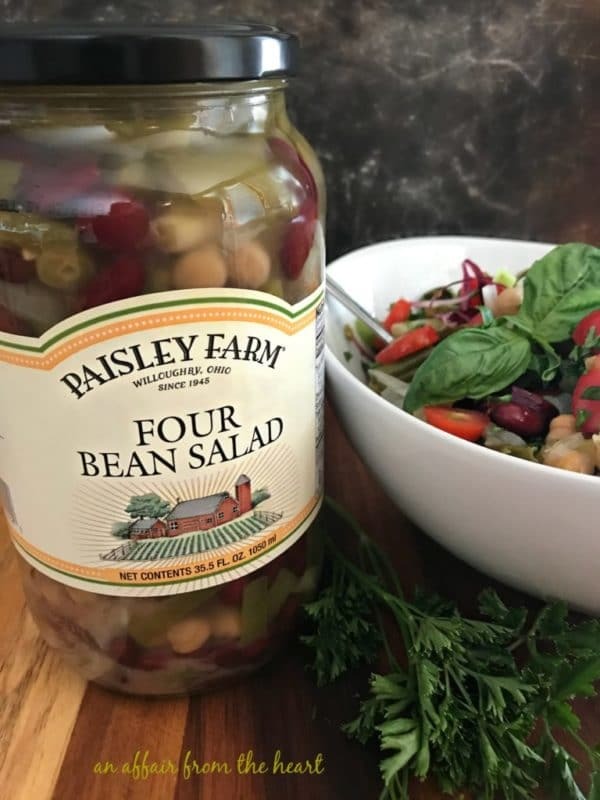 We absolutely love Paisley Farm Four Bean and Five Bean Salads, and we buy them by the case when it’s in season to make sure we have plenty for summertime BBQs and picnics! Looking forward to trying this variation!